No surprise that those of you in Alberta's 2nd biggest city make 4GoodHosting your Edmonton Web Hosting provider of choice more often than not. Having 10+ years of serving the city with reliable web hosting will do that! Expect first-rate customer service too, as well as a host of additional online marketing resources. When you go with us, you make it so that you've gotten your web hosting right the first time. Call us and we'll get you set up without delay - your site will be instantly activated for hosting with your payment and we're at the ready to answer any questions you may have. Vancouver and Toronto are quite a ways away from each other, and that's where 4GoodHosting has their 2 data centers. The significance of that? Your website won't fail to be hosted in the event of a failure at either one with the fact each and every one is backed up by one or the other depending on the instance. Vancouver's got problems? Toronto's got your back. Toronto? Vancouver's got you. These back ups are initiated every day of the month, and of course you've got 24/7 customer support at all times for whatever you need related to your site and its hosting status. And in the event your current hosting provider isn't meeting your expectations or can't match that level of operational security, you're welcome at 4GoodHosting anytime. We'll transfer your domain at no charge, and be happy to do so as part of our service-plus approach. We're very happy to be able to offer the best value for Edmonton web hosting, and that value is increased significantly when you factor in our expertise, customer service, reliability, and commitment to full customer satisfaction. Snappy Loading Times, All the Time! No one's going to accept slow page loadings if possible, and here at 4GoodHosting you most certainly don't have to! Our advanced server architecture allows us to guarantee quick site loading times, and even for sites with expansive content or complex configurations. Naturally, it would seem our customers are very appreciative of this performance aspect! Anytime a question pops up for you, we're standing by with one of our representatives ready to answer it for you. They also play a big part in making us the #1 choice for service-plus web hosting in Edmonton. Many folks love the convenience of our live online chat support too! There's no debating our "A+" standing with Edmonton Better Business Bureau is well earned, and we will continue to make every effort to allow you to understand and work with your site while it's hosted with us. Again, it's part of us being receptive to what you want. These are the expectations you should have for your web hosting provider in Edmonton. There's plenty of reasons why optimized data security and privacy are important to web hosting customers these days, and more all the time. The ever-increasing risk of privacy breaches through the Internet is at the forefront of them, and we realize the need to constantly reevaluate and expand our data security measures and privacy protocols. We do that frequently, and we're confident in giving our customers those assurances. Service-plus web hosting indeed! 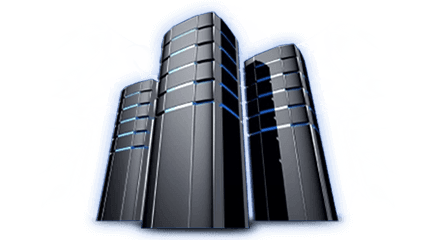 VPS (virtual private server) hosting is an ideal choice for websites that are no longer operating uninhibitedly within a shared hosting arrangement or have the Webmaster requiring root access or extensive configuration control of their standalone web server. And if your website has grown to experience over 1 million views per month you may want to look at VPS as well. You can enjoy a wide share of platforms too, with Drupal, OpenCart, WordPress, Wiki, Joomla, and PrestShop and SMF among the most popular. hosting service ends here, and you've got our 30-day money back guarantee if you're not 100% satisfied with us anytime during your first month with us. We've got Web hosting , free domain name registration , VPS hosting , a quality website builder , and all are as reliable as you'll find with any hosting provider in Canada.